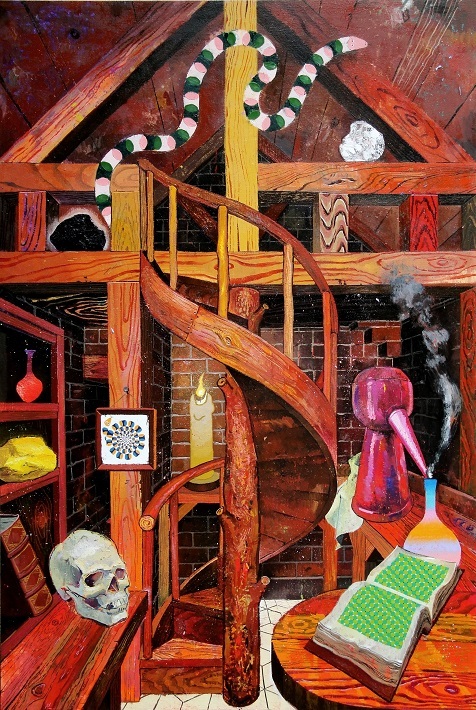 Joey Borovicka has a show up at Good Girl Art Gallery in Springfield, MO, “Life In Small Places, Narrow Crannies”. Here’s a link to our 2008 interview with Borovicka. 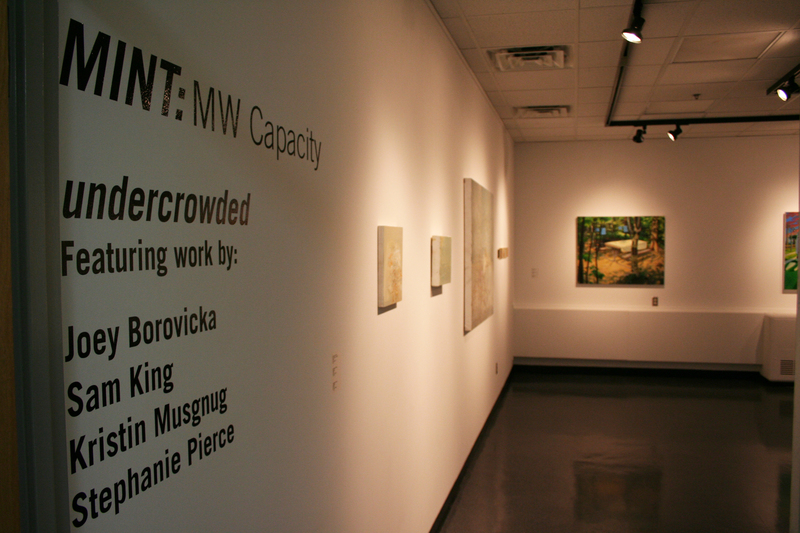 MWCapacity: undercrowded at the University of Central Missouri Gallery of Art & Design, March11-April 10, 2010. The exhibit is part of the MINT: 3 exhibitions. 3 spaces. 3 ideas. program. 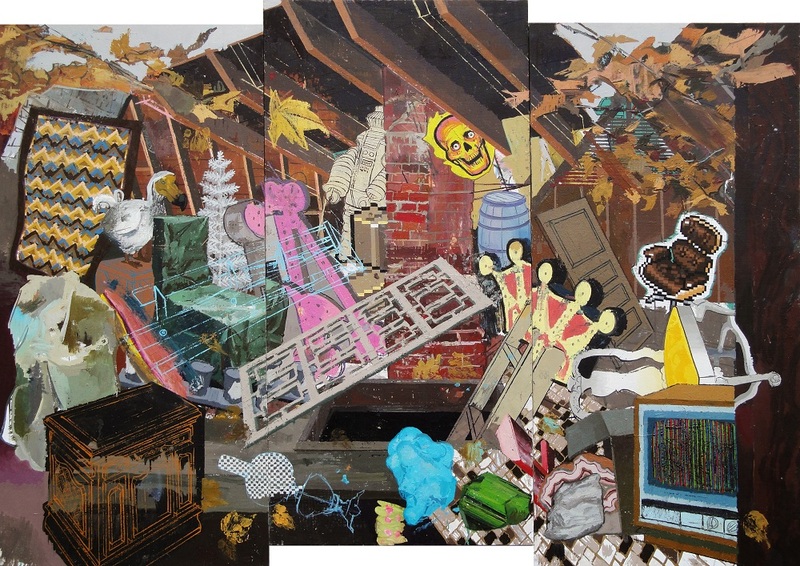 Solo exhibits by Davin Watne and Lisa Iglesias make the other 2 of 3 exhibitions/spaces/ideas. Participating artists in undercrowded are: Joey Borovicka, Sam King, Kristin Musgnug and Stephanie Pierce. Sam and I co-curated the MWCapacity 1/3rd of the exhibit, selecting some of our favorite artists making very different paintings and videos with a common subject matter: unoccupied spaces. The spaces are man-made, mostly people-friendly, yet there’s no one there. 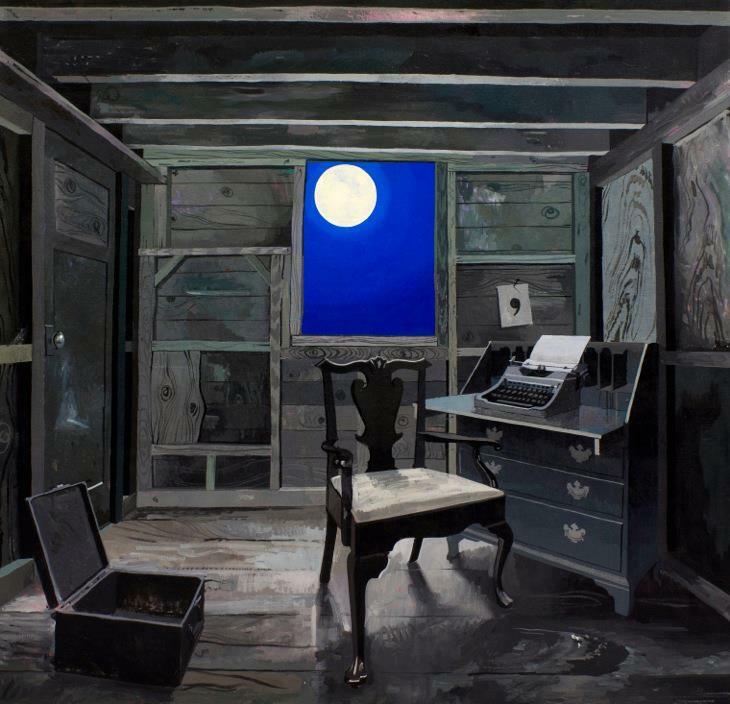 These paintings (and I apologize that I keep thinking about Sam’s videos as paintings) share the need to make something where there’s nothing, or at least no one around. What we see are traces of human presence—things that are intended to attract people, messes that people have left behind, things that should have been done, and things that someone is done with, not forgetting of course the artist’s hand and viewer’s eye. All these somehow made to contain expression, intimacy, contemplation, even narrative and allegory. Joey Borovicka: Homesick Blues, Catich Gallery, St. Ambrose University, Davenport, IA, January 19-February 26, 2010. More Joey Borovicka on MWC. Please give our readers a little bit of information about yourself.